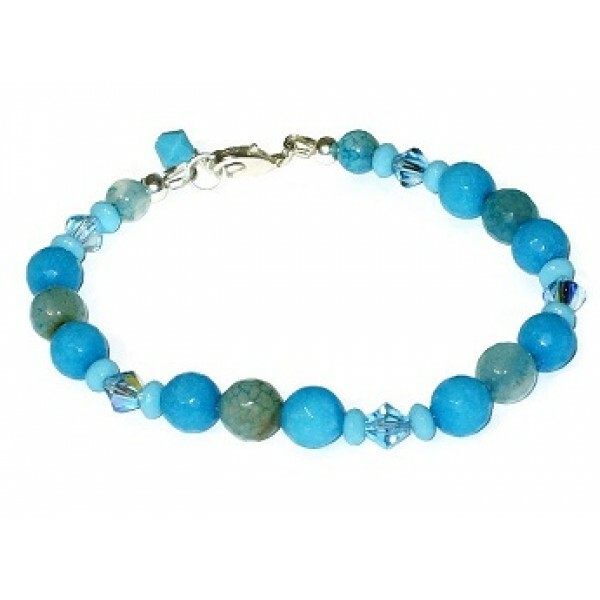 This bracelet consists of Swarovski crystals and faceted jade, agate and czech glass rondelle beads. It has a silver-plated lobster clasp and measures 7 1/2 inches. These sterling silver earrings are accented with faceted mother-of-pearl beads, Swarovski crys.. These hoop earrings consist of Swarovski crystals faceted jade and agate beads that have a spl.. These dangle earrings contain Swarovski crystals, faceted jade, agate and mother-of-pearl beads. The..